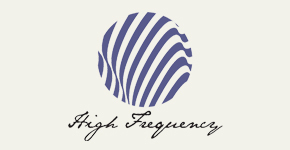 High Frequency Lifestyle Café is a contemporary restaurant serving classic French brunch staples by day and haute cuisine quality dishes by night. Located in the heart of Batu Bersurat, the restaurant creates a high-end dining experience at a reasonable price. In addition to the compelling food that is served at High Frequency Lifestyle Café, the restaurant has also built a reputation as a specialty coffee pioneer in Brunei, serving espresso-based coffee while also roasting its own coffee beans. With pastel hues forming a distinctive storefront, a rustic décor created with an abundant use of wood, its quirky variety of chairs and vintage posters, the relaxing ambience in the comforts of Batu Bersurat shapes a place where people meet, connect and converse. Earn 2 Royal Skies miles for every BND 1 spent at High Frequency Lifestyle Café with a minimum spending of BND30.